My third visit to the River Stour, for my 2018 painting project. I had planned that March, April and May would be my ‘Spring’ visits. After the snow we had at the weekend and the bitterly cold weather for the last few weeks, it is not very spring-like yet! It was sunny, though, with big cumulous clouds, although the wind was cold and there were still a few patches of snow under the hedges. 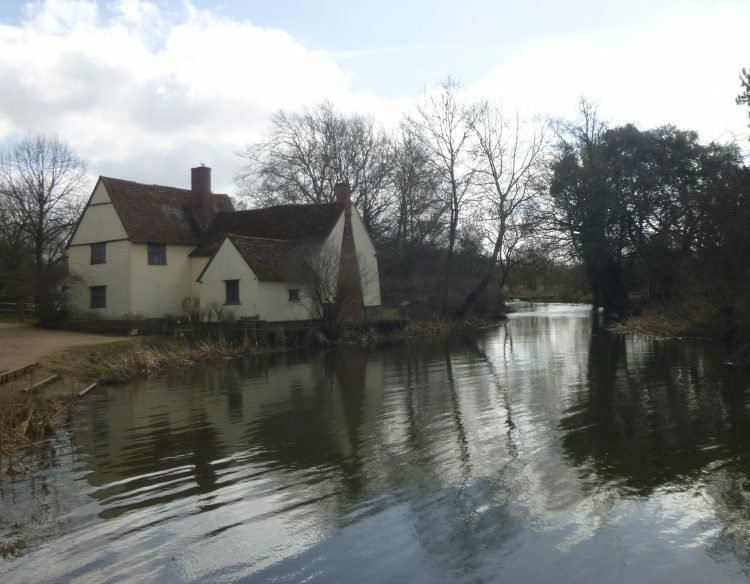 There were quite a number of people around by the river at Flatford, walking – and canoe-ing! I walked over the bridge to the Essex side of the river, and up past the lock with the mill race roaring on the other side. 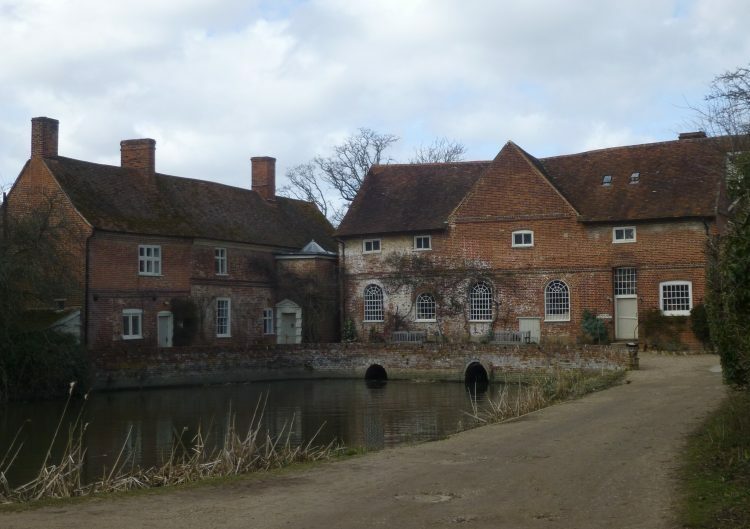 Then back through the gates and along the riverbank path to Dedham. Very muddy . . . .! 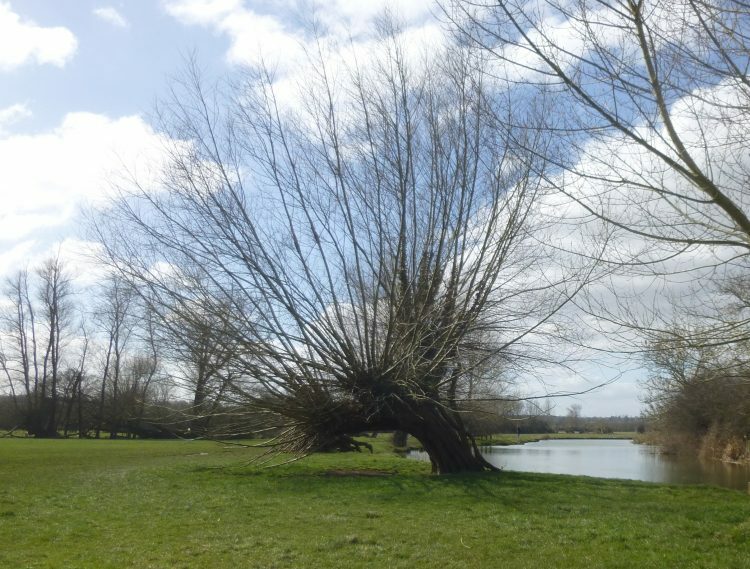 Wonderful old cracked pollarded willows leaning at acute angles. Ducks. Alders and hazels overhanging the water. Deep dark reflections. Back over the bridge, past the mill . . .
– to Willy Lott’s House. The iconic view. Sickert used to warn artists off the Stour Valley, saying it was ‘a sucked orange’, but John Nash painted it as though he had never heard of it being the mort familiar river territory in English art. 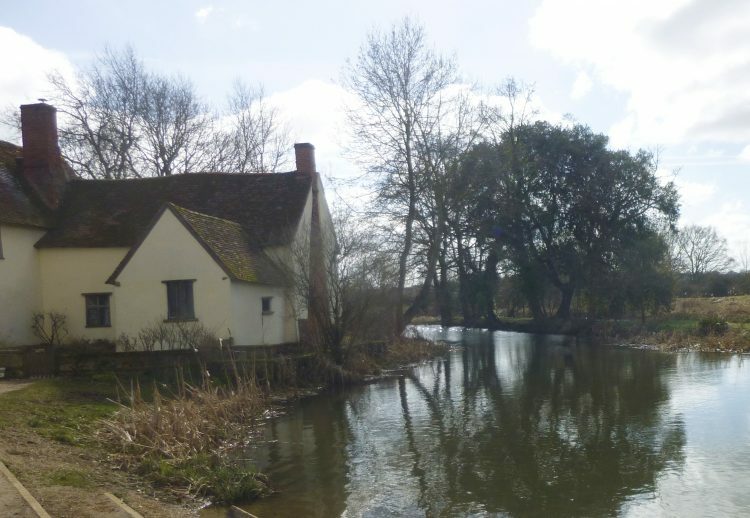 That is the challenge at Flatford, certainly . . . I can’t wait to get started!